Syrup and gone were two words that I thought I’d never hear in the same sentence, but alas, my son was correct, and this equaled a first world problem in his mind. The industrial size, never ending, gallon of syrup had been devoured which necessitated some quick improvisation. Homemade Blueberry Syrup to the rescue. Does the idea of making your own simple syrup scare you? Trust me, it’s so incredibly easy and once you’ve given it a try, you may never go back. You can double or triple this recipe because it will keep in the refrigerator for up to one week. Homemade syrup helps you avoid any additional preservatives, but if you are trying for a completely healthy syrup option, you can always substitute an alternative sweetener. 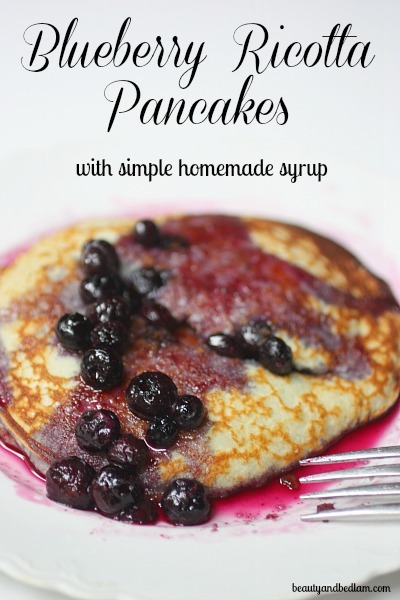 I served this simple blueberry syrup over my Homemade Blueberry Ricotta Pancakes , and I thought that I’d just pulled up to a restaurant table. Summary: This not too sweet homemade blueberry syrup whips up in five minutes and is loaded with whole blueberries. Combine one cup of the blueberries, the sugar, water and your choice of citrus juice in small saucepan. Cook and stir on medium heat for 2-3 minutes until the sugar dissolves. Reduce heat to low and simmer, uncovered for 15-20 minutes or until it begins to thicken. Stir occasionally throughout cooking time. Stir in remaining cup of blueberries and cook for 2-3 more minutes until blueberries become soft. Just made this with some frozen blackberries I had, and it is delicious! I really love making homemade syrup. Blueberry is delicious as is strawberry! 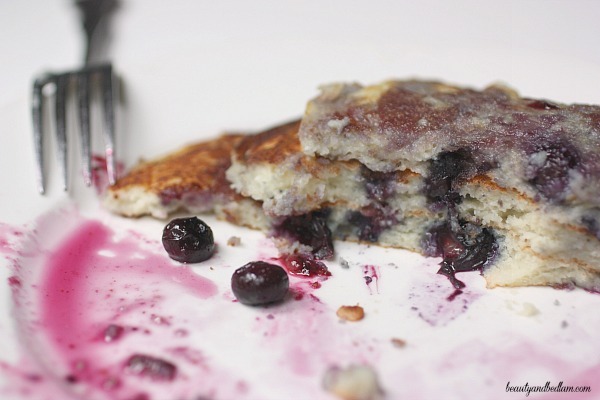 Blueberry syrup is the best on pancakes. I pick it each and every time, and the recipe looks fantastic! 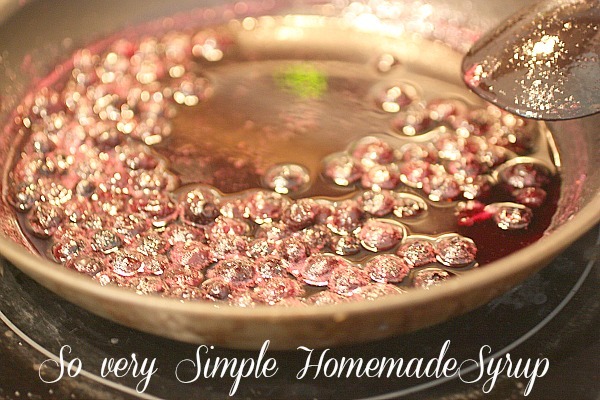 I used a very similar recipe to make a cherry syrup last weekend, it was a big hit! I know. It’s just so easy and yummy, isn’t it? Cherry sounds wonderful! I came across this recipe the other day and tried it tonight. I picked a gallon of blueberries the other day and used those. The syrup was awesome!! Thanks for sharing! A keeper for me! I am so glad you enjoyed it!! Perfect way to use some of those yummy blueberries.